Most of us don’t procrastinate because we are lazy or don’t enjoy creating. Procrastination is often a response to feeling daunted or not good enough for the task. The thought of starting or finishing a manuscript that could be imperfect for some time is scary. Others procrastinate out of feeling guilty about taking the time to write when there are other obligations waiting in the wings. In Anne Lamott’s classic book on how to write, Bird by Bird, she addresses a number of these blocks. This is great advice. Whether you are daunted by your task like Lamott’s brother or you procrastinate for another reason, chunk it up. 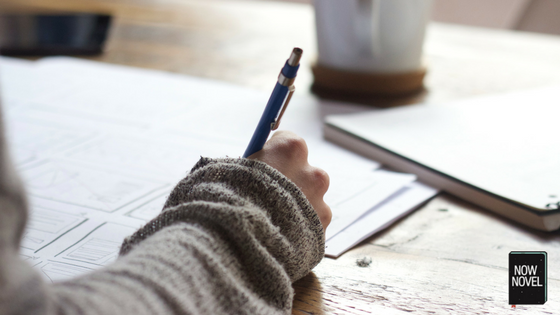 Resolve to write something – even if it’s 100 words – every day and focus on just what you want to accomplish in this small space. As time goes by and you show up for your writing, you’ll likely find you’re able to write more each session. Neil Gaiman offers three ways to prevent procrastination. The first two don’t apply to many of us in the early stages of writing: He needs to write because he has to support his family and because he has an audience waiting for his work. These are motivators for established, professional writers. You don’t necessarily have to sit in a concrete cell with nothing but a notebook and ambitions. 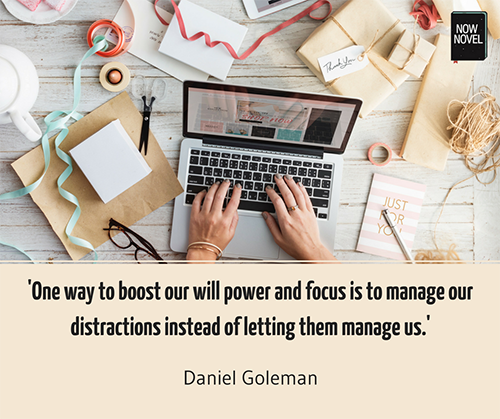 Removing distractions can be as simple as installing browser extensions that limit the time you spend on social media, for example. This might sound strange, but you don’t necessarily need to be drafting to be doing the work that must be done. Award-winning writer Hilary Mantel says that when she began researching historical fiction, she thought the research would be enough. However, what she discovered instead was a kind of productive procrastination that she described as ‘imagination filling in the gaps.’ It is true that some writers need down time during which their unconscious minds do crucial work. Another method that is often helpful is switching to a more visual mode. Create folders for images of settings you want to include in your novel, whether real-world places or imaginary ones. Find images that evoke the atmosphere or mood you have in mind and save them. You could do the same thing for characters. Even the great Maya Angelou struggled with writing sometimes, and her example shows that sometimes you simply have to turn up and put words down on the page. Show up to write on schedule for each session, even when you don’t feel like it. Put even sub-standard words down on the page so your unconscious knows it isn’t getting off the hook. Allow yourself to be bad. You can edit a bad page but you can’t edit a blank one. Sometimes, distractions are unavoidable. If you are going through a particularly stressful period in your life, you might find it difficult to focus on the mechanics of storytelling. However, writing can also act as place you visit as a refuge. 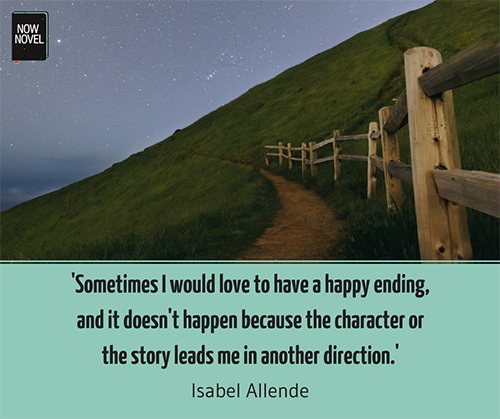 Writing fiction is not therapy, but it can still be therapeutic. Stephen King wrote the second half of his famous memoir On Writing during a gruelling recovery. He’d been hit by a van in an accident that nearly killed him. King initially thought that he might never write again. It was the first work he completed and published after the accident. If you are also struggling with devastating life events that are keeping you from your work, you might find that the work itself can be healing, can be the distraction. Martin Amis, the British novelist, is the son of another noted British novelist, Kingsley Amis. Amis told The Paris Review his father had to talk his way through the opening of a book. He describes his father talking to himself about where he was in the story. This would reassure him. This is where it helps to create an outline, or even a simple story blueprint – an idea of what your story’s main reference points are. [Brainstorm your central idea and create a blueprint for your story on Now Novel.] Knowing which way you’re taking your story will give you many places to leap in, rather than many reasons to procrastinate. If you are in the middle of a first draft, you don’t necessarily need to go back to outline. Yet stepping out of the detail, the thicket of the story, and summarizing events to this point, can help you get an eagle’s view of where it’s all heading. Formerly a literary agent and now a writer, Nathan Bransford has long maintained a blog on writing. For Bransford, voice and plot are the only two things that you need to write the first draft of your novel. Think of your first draft as a process of discovery. Remember you don’t have to write something linear and polished from the start. Bransford points out that once you have found a plot and voice, you can then go back and revise. The important thing is that you start. When you’re finished, read this post on finding your central idea and themes (and the relation between the two) if you’re starting out. Or this post on plot development if you already have a work-in-progress underway. Allegedly, the 19th century French novelist Victor Hugo worked naked, or asked his valet to take away his clothes to prevent him from leaving his study. You might not have a valet (and might in fact wish to keep your clothes on). Yet persuade a friend or family member to help keep you on track. Another classic of writing advice is Brenda Ueland’s book If You Want to Write. According to Ueland, while writing, you should not have to suffer to write, ‘like Lord Byron.’ Instead writing should make us ‘happy, absorbed’. When you’re focused on refining elements of your craft, writing might start to feel like work and a chore. Remember to play – with plot, character and event. Think about what originally motivated you to start writing and what you loved about it in the first place. Try writing without any particular object or immediate expectations regarding the result. Make a list of reasons you want to write a book and read over it whenever you feel like you might procrastinate. Remember to divide your task into manageable, fun units and give yourself simple rewards for reaching key milestones.